Kirti Stambh is famous by another name 'Tower of Fame', is a 22 meters tower and was established by the first Jain Tirthankar and is committed to Adinath. Constructed in Solanki style architecture, it has balconies and windows.It is located in the Chittorgarh fort of Rajasthan, which is largest fort in Rajasthan. Built in 12th century by Rana Kumbha to commemorate his victory against Khilji. Tower of Fame is 30 feet wide at the base and narrow at top to 15 feet. Famous for the intricate carvings of Digambar, this seven storied tower has a beautiful Adinatha statue on the second floor. 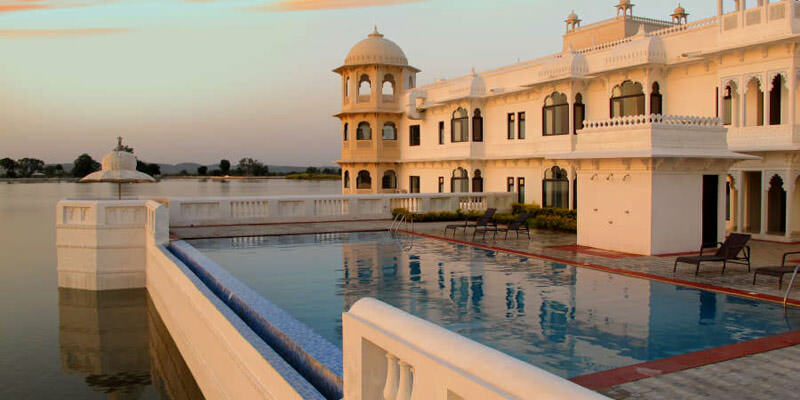 One can watch speechless scenic views of Chittorgarh on moving up to the top floor. Kirti Stambh is older than another tower in the same fort, known as the Vijay Stambha (Tower of Victory). 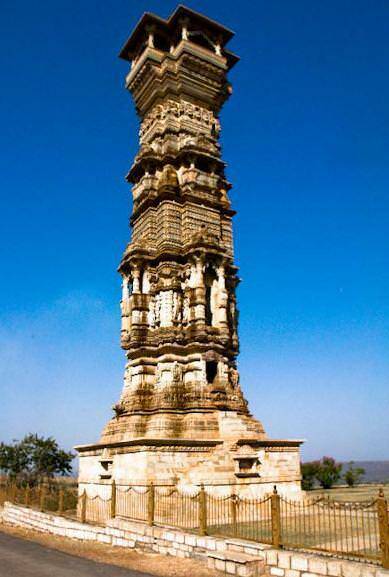 By Road: Tower of Fame (Kirti Stambh) is located in the Chittorgarh Fort at a distance of 5 km from centre of Chittorgarh on Fort Rd. One can easily reach here by rickshaw, local bus or taxi or by walk. By Rail: Tower of Fame (Kirti Stambh) is well connected through nearest Chittorgarh Railway station (6 km) to major cities railway stations like Delhi, Agra, Mumbai, Chennai, Bikaner, Pali, Jaipur, Ahmedabad. By Air: Tower of Fame (Kirti Stambh) can be reach through nearest Udaipur airport (98 km) which is well connected with regular domestic flights to Delhi, Mumbai. tower of victory was build by rana kumbha. this jain kirtisthamb was build nearly 200 years before it. jija son of sah naya built it and the consecration ceremony was performed dharamchandra of Mulasangha. this kirstisthamb was bult infront of chandraprabha temple constructed by jija’s father sa naya. this sthamba was made in the honour of chandraprabha temple which is now not exist.